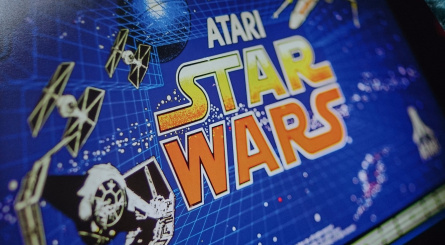 It's hard to believe it now, but there was a time when the evolution of the video game industry happened not in the home, but at locations like bowling alleys, cinemas, bars and - if you're from the UK - humble fish and chip shops. While home consoles have been a massive part of gaming for decades, they traditionally lagged behind arcade technology which offered bigger and better graphics, vastly superior audio and incredible experiences that domestic systems - at the time, at least - couldn't hope to replicate entirely. 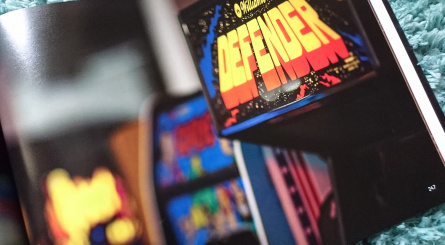 Those days have long since passed of course; while arcade games still exist, they don't attract the same attention that they did during the '80s and '90s. Consoles are now just as powerful, if not more so, and the need to leave your home to play against other like-minded individuals has evaporated as online play has grown in popularity. 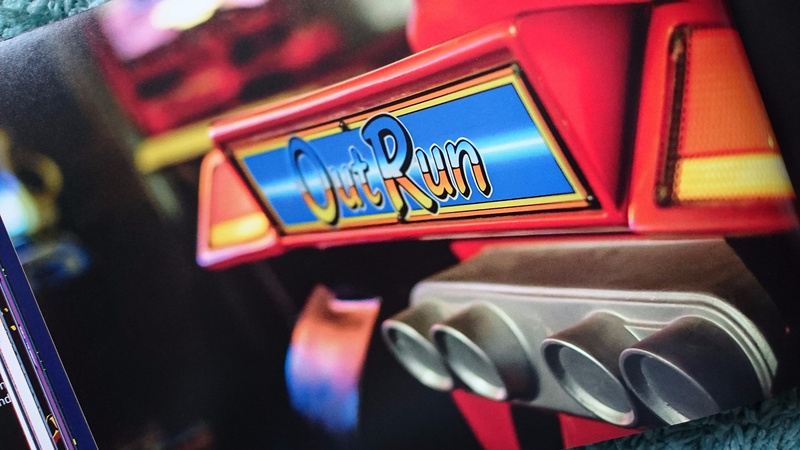 However, for those who lived through the golden era of coin-ops, there's something about arcade gaming that continues to capture the imagination; the thrill of playing something you couldn't get at home, the allure of competing with other players - either face-to-face or via "best of the best" scoreboards - and of course the fact that these games were designed to offer entertainment in short, sharp bursts, and therefore wasted little time on tiresome exposition or hand-holding. However, with most arcade games the primary means of getting a player's attention was cabinet artwork - an important consideration when you take into account that at the height of the coin-op craze, seemingly endless lines of machines would be found in some amusement centers, each one competing for coin with its neighbours. The need to pull in punters was paramount, and often the back-lit marquee at the top of the cabinet was the first thing that caught a player's eye - even before the colourful, glowing screen, in fact. 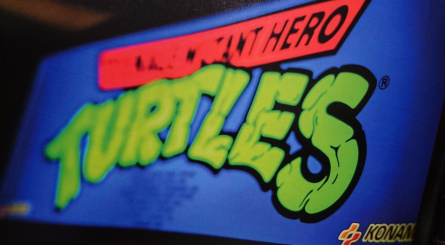 Artcade is a celebration of this marquee artwork. 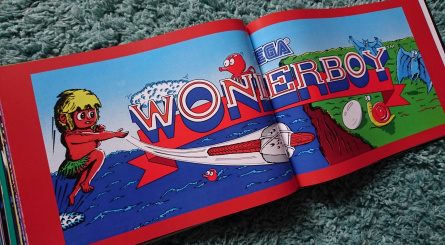 The book's genesis can be charted back to when collector Tim Nicholls acquired a massive selection of marquees from a Hollywood props company, which had been amassed over 40 years and much of which was badly damaged and in need of care and attention. 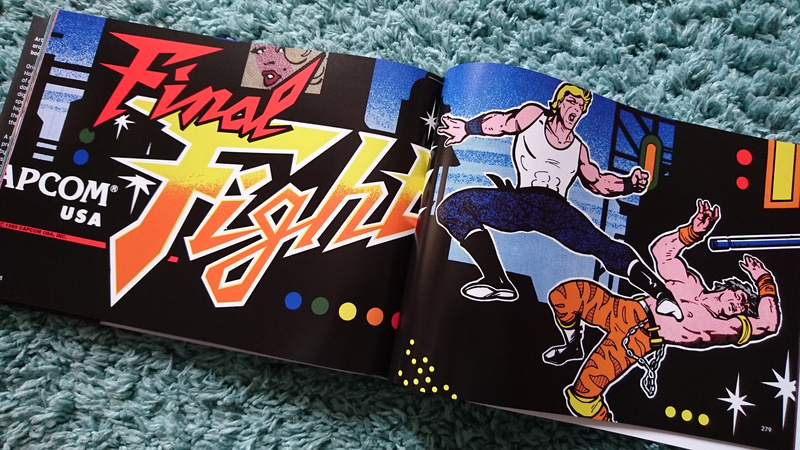 Nicholls has spent over two thousand hours painstakingly restoring these images via digital means, colour-correcting the art to ensure it looks as vibrant and eye-catching as it did during its heyday, and is working with UK publisher Bitmap Books - also responsible for the forthcoming Super Famicom Box Art Collection - to bring the results to the wider gaming public. Set in chronological order, Artcade is a colourful tour through the history of coin-op marquee artwork, starting out with the likes of Space Invaders and Asteroids - games released during a time when the art on the cabinet was significantly more detailed and colourful than the crude monochrome visuals on-screen - the book moves through the late '70s into the glorious 1980s, showcasing classics like Frogger, Galaga, Dig Dug, Bubble Bobble, Rolling Thunder and Altered Beast, going right the way up to Capcom's 1994 brawler Alien vs. Predator. While Nintendo wasn't as active in arcades as its one-time rival Sega - which is well represented in this book with the likes of Space Harrier, Wonder Boy, Out Run, Shinobi and Hang-On - there are a surprisingly number of Nintendo marquees featured in the reassuringly heavy and glossy pages. 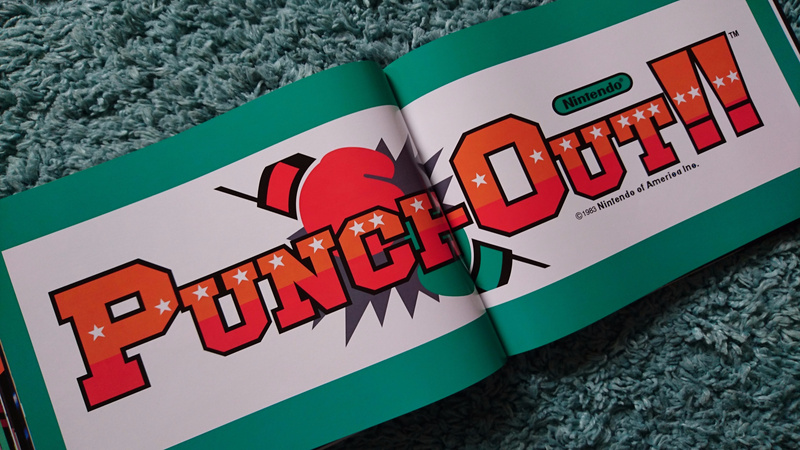 Donkey Kong, Punch Out! !, Mario Bros., Donkey Kong Junior, Popeye, vs. Gradius and vs. Goonies are all featured, and these pieces of artwork serve as a reminder that the Kyoto-based firm found its feet with arcades before dominating living rooms all over the world. 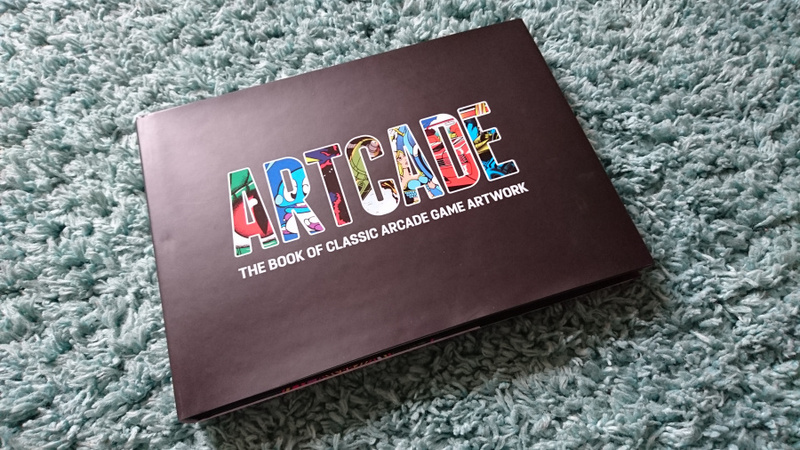 As well being packed with artwork (with each game also getting a short but sweet write-up at the back of the book), Artcade features an interview with Python Anghelo, a Romanian artist who left Disney to create cabinet artwork at Williams in 1979, and is responsible for many famous marquees, including the one for Joust. The short but information-rich discussion is made all the more poignant by the fact that Anghelo sadly died from cancer in April 2014, shortly after speaking to Nicholls. Coffee table books based on video games are big business these days and Bitmap Books has created a fine line of offerings, but with Artcade it's more of a visual journey than a written one; that's not a criticism at all, and even if you have no knowledge of the period this artwork is taken from, it's still fascinating to gaze upon such imagery and wonder how it must have looked when fully illuminated in a dark amusement arcade or smoke-filled bar. 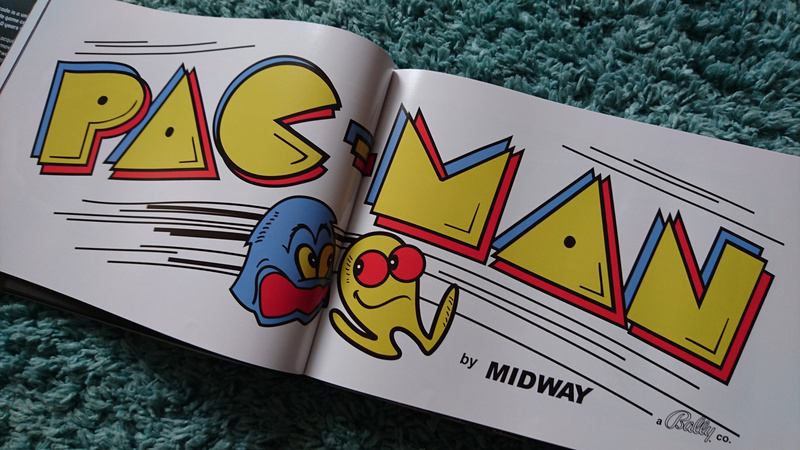 It's a period of gaming history which we'll probably never see again, yet the influence it had is impossible to overstate - names like Pac-Man, Street Fighter and Q*Bert have since passed into mainstream popular culture, yet they all began life as coin-op releases before they attained that global fame. 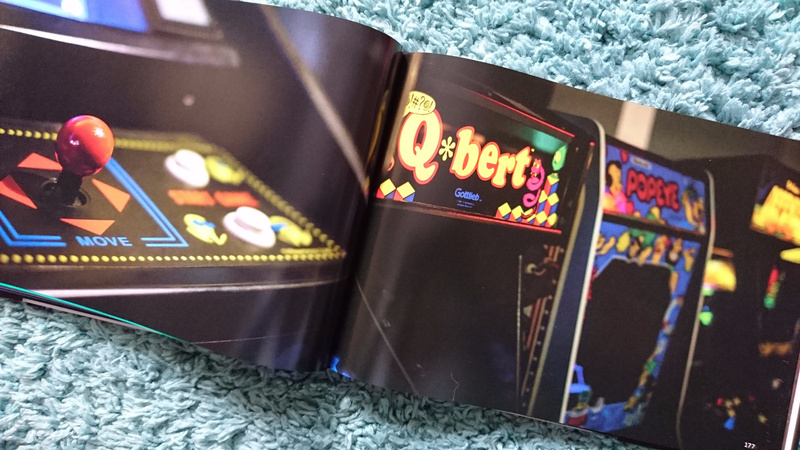 Artcade: The Book Of Classic Arcade Game Artwork is for pre-order from Bitmap Books for £24.99, with a release in April. We can confirm it looks great on your coffee table. Might be too sweet to pass up. Looks like a great way to remember with friends and family, too. Bagman! Love that unsung hero of a game! 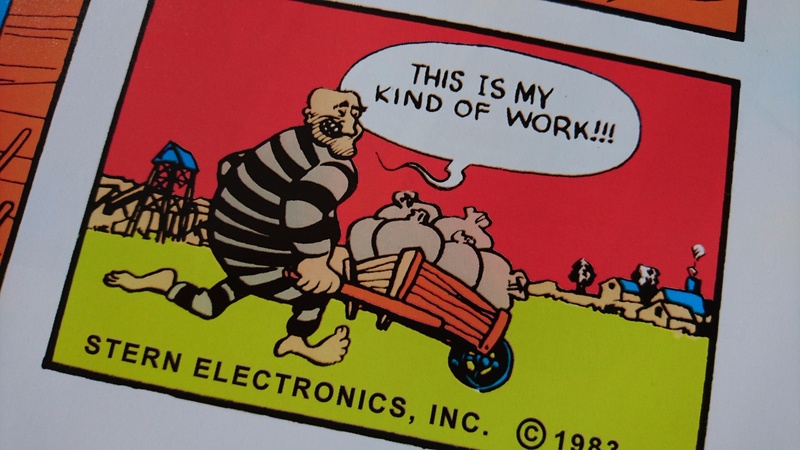 My grandfather ran an arcade in his later years, in the early 80s, and as a result, I played a ton of games for free. So my I have great Nostalgia for all arcades. 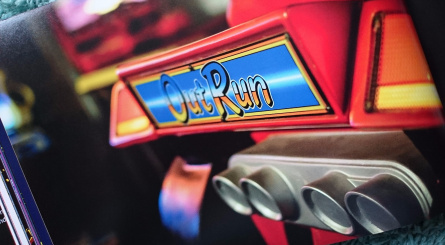 This was in Paris, France, and the arcade was dark, smoky and had built in ashtrays on almost every machine. Young & old played and I can fondly remember the noise & smells of that arcade. I remember Dragon Slayer the most, due to it's superb animation, but played a ton of other classics as well. I will pick this up for sure. 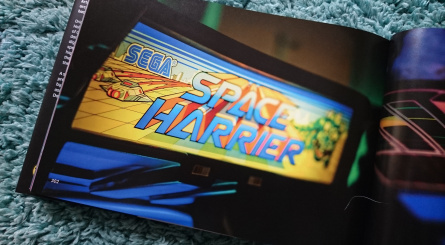 Arcades in the early 80s were magical...something about them, like being transported to another world. I will always fondly remember them. As a huge arcade nut I will have to see if I can get this in the US. I just preordered it and Iive in L.A. It was 10 pounds for shipping. So much awesomeness and nostalgia is packed into those marquees. 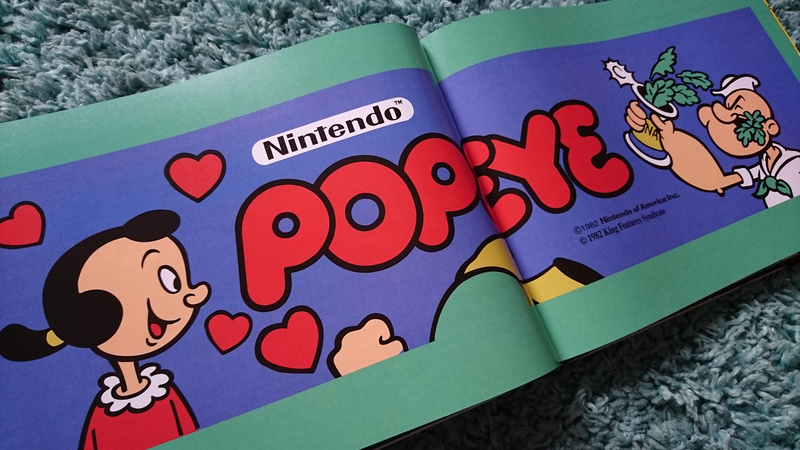 Where's the backlit special edition version? Want it, but doubt i'll buy it. It's nice that someone compiled all of this. @Agent721 Thanks for the heads up. I'm starting to get into cabinet building and this is a dream come true for inspiration and history. Pre-ordered. It is said that when a group comes together, they only find terror in their hearts.